Are you looking for a job? The Job Hunter's Bible, JobStar and the Purdue OWL are three excellent resources for you! JobStar is a website that was developed and updated from 1996 to 2011 and has good sample résumés & cover letters for various types of jobs. The samples are free to download and modify, which can help you save time in the writing process (which is just part of the entire job search process - see Two Ways to Hunt for a Job). The Purdue Online Writing Lab (OWL) provides detailed help for writing résumés & cover letters. Résumé Workshop - This page provides detailed explanations, as well step-by-step processes, for creating an effective resumé. Résumé Design - This page offers advice making informed design choices in creating a resumé. We also have a sample resumé that uses these design principles available in the media section above. Résumés 1:Introduction to Résumés - Before beginning to write your resumé, it is a good idea to understand what you are writing, why you are writing it, and what is expected as you write it. This basic introduction will aid both new resumé writers and those who may have forgotten certain details about resumé writing. Résumés 2: Resumé Sections - When writing a resumé, you need to understand the specific needs of each section. This part, with information about the contact information, education, and work experience sections, will help explain what each section requires. Résumés 3: When to Use Two Pages or More - You have probably heard the saying, "Keep your resumé to a page." Although this is true for most cases, many employers are accepting longer resumés...in certain instances. Use this resource to gain more understanding about what constitutes the page length of a resumé. Example Employment Documents - These annotated employment documents provide examples of resumés, CVs, and cover letters for a variety of disciplines. Cover Letters 3: Writing Your Cover Letter - This part offers a series of short documents that walks you through the creation of a cover letter. Letters Concerning Employment - This part covers writing additional correspondence beyond cover letters including reference requests, interview follow-up letters, inquiry letters, acceptance and rejection letters, request for further negotiations letters and thank you letters. Academic Cover Letters - When you're applying for a faculty position with a college or university, the cover letter is your first chance to make a strong impression as a promising researcher and teacher. Should you prepare a Resumé or a CV? In some countries, a resumé and a CV are the same thing - a document listing your qualifications for employment. In other countries, however, a resumé often has a more free-form organizational style and is used for seeking employment in private companies, but a CV is more standardized in format and is used for seeking positions in academic or educational institutions. For example, a resumé may begin with a statement about your personal goal(s) and then list your most significant accomplishments and/or skills in order of significance; a CV, however, often includes more complete lists of data, such as educational institutions attended, degrees received, positions held, professional affiliations, publications authored, etc. If you want help, your CT can help you edit your resumé/CV and your cover letter or help you practice having an interview. 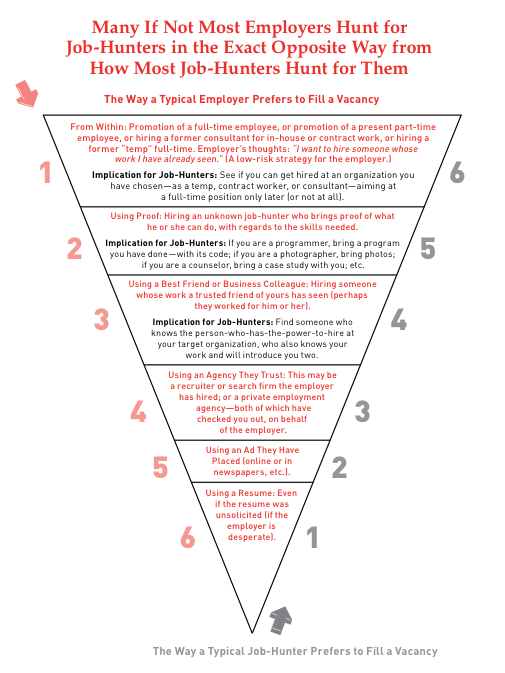 First, please read some of the tips from Jobstar, OWL and the Job Hunter's Bible. Next, spend a few hours writing your resumé/CV and cover letter. Then, e-mail them to us and request an appointment to see us. For more links for job hunting, click here.